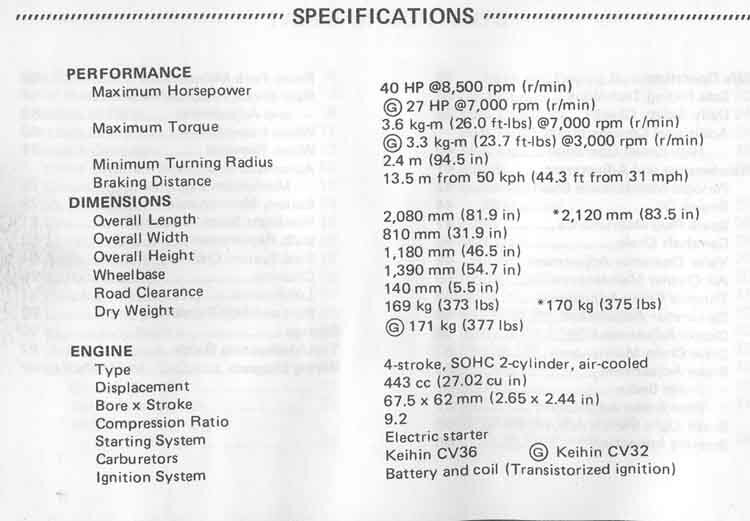 Note: There is a misprint on page 1. 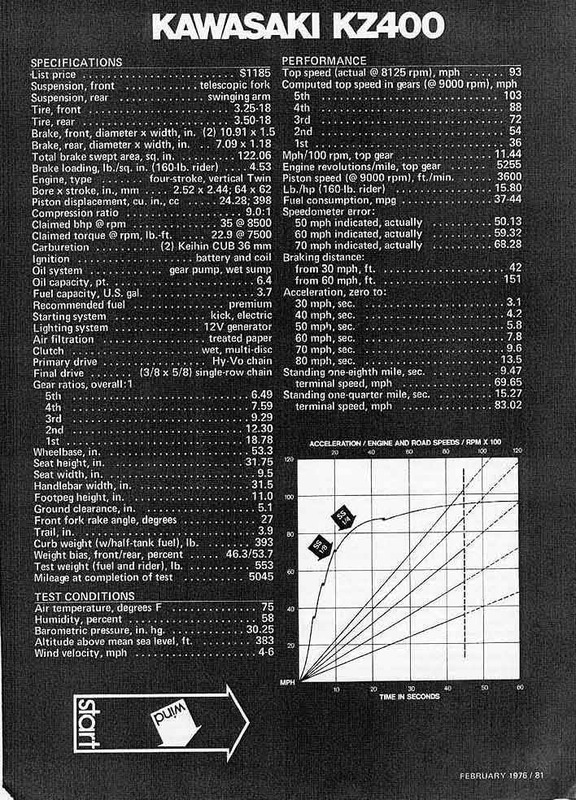 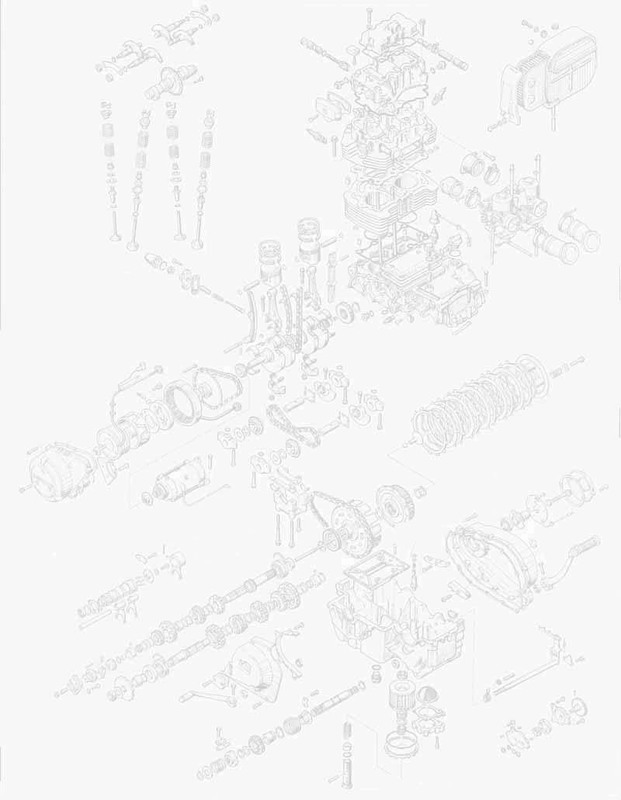 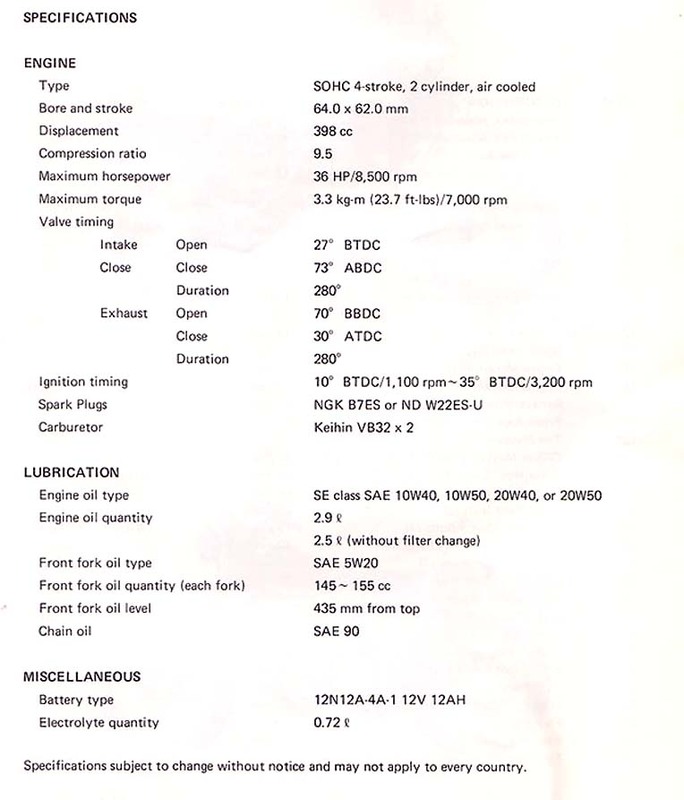 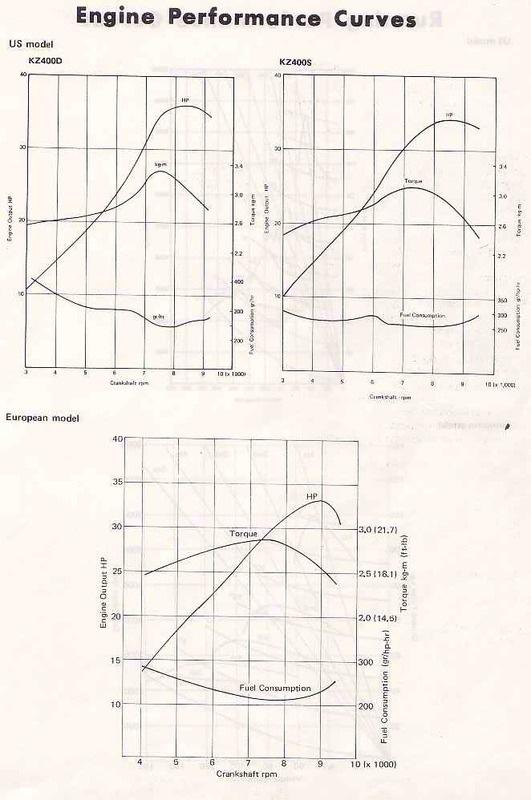 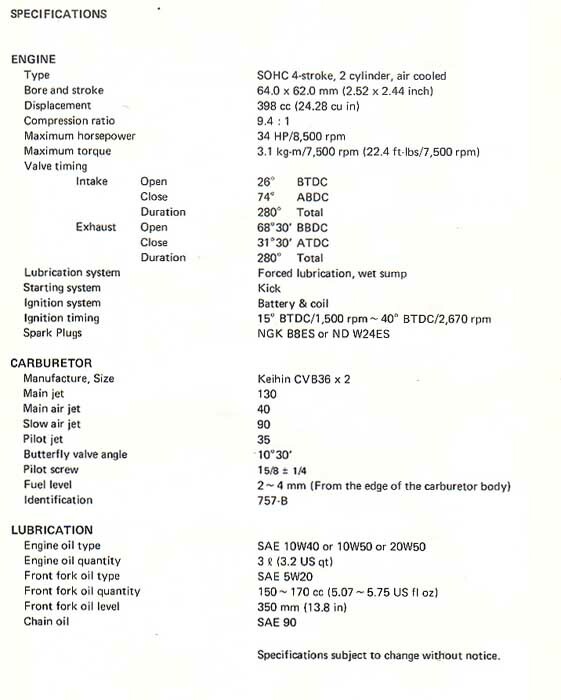 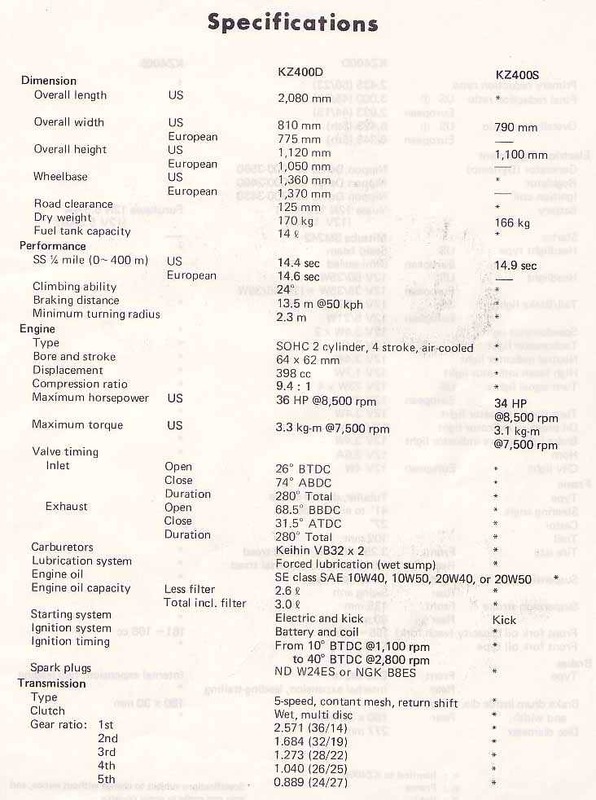 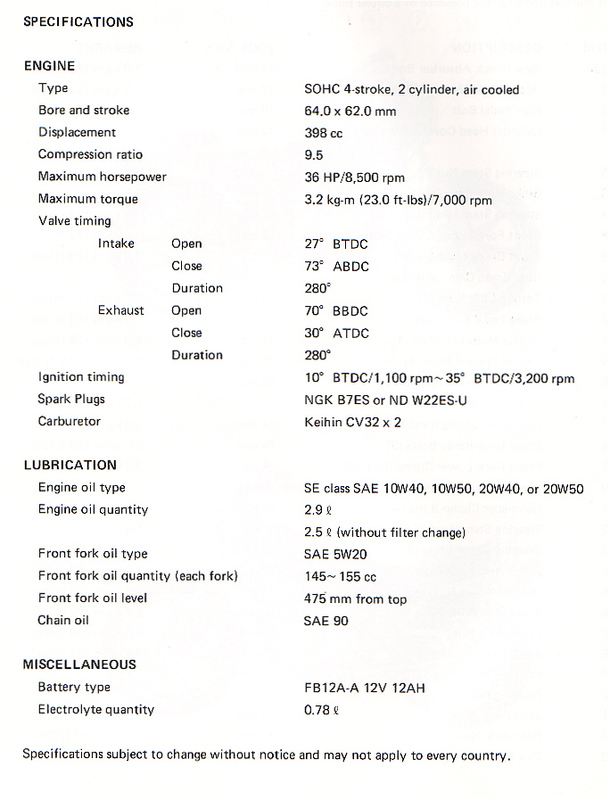 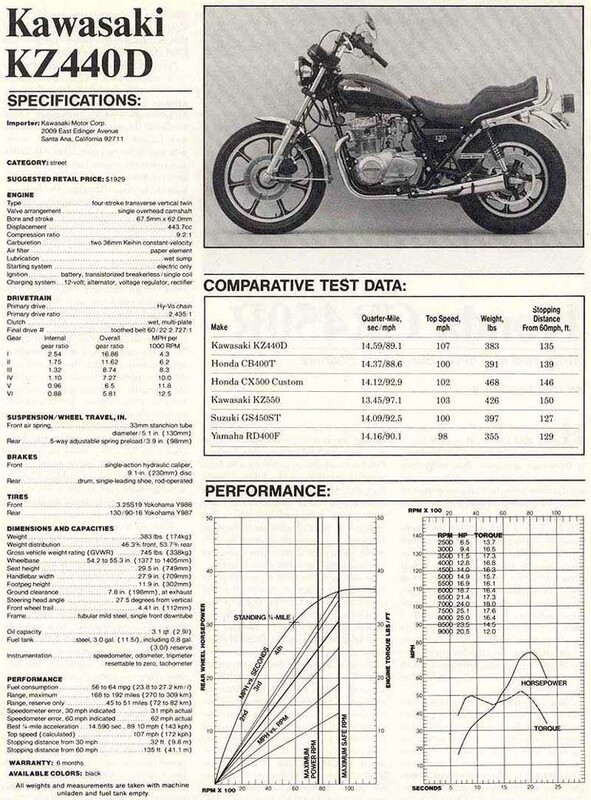 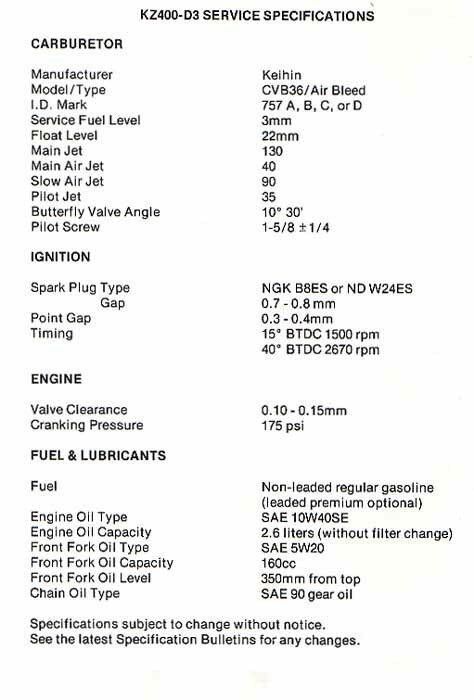 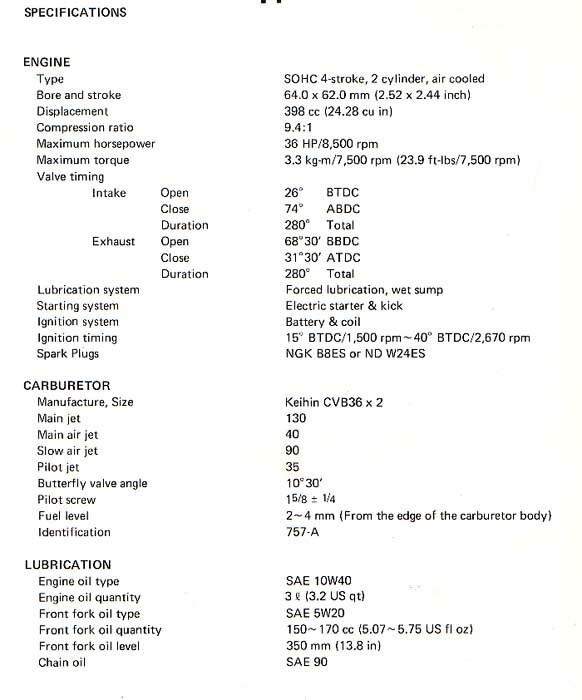 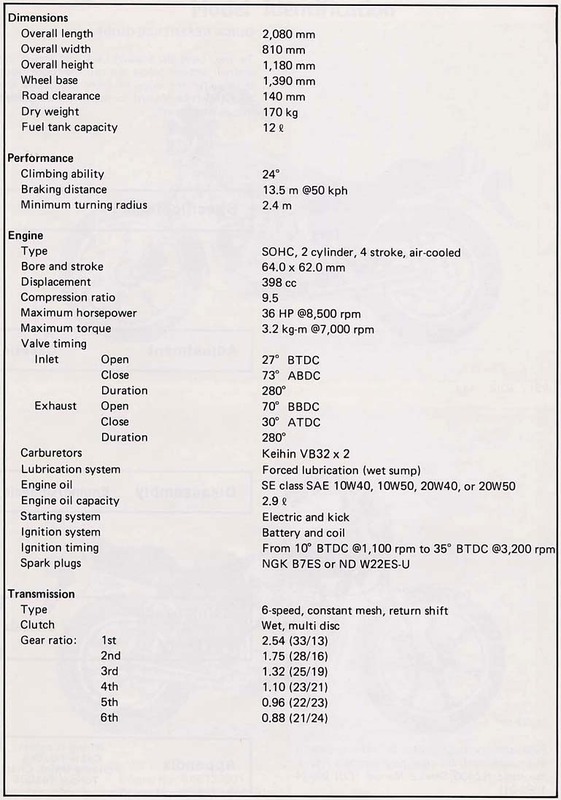 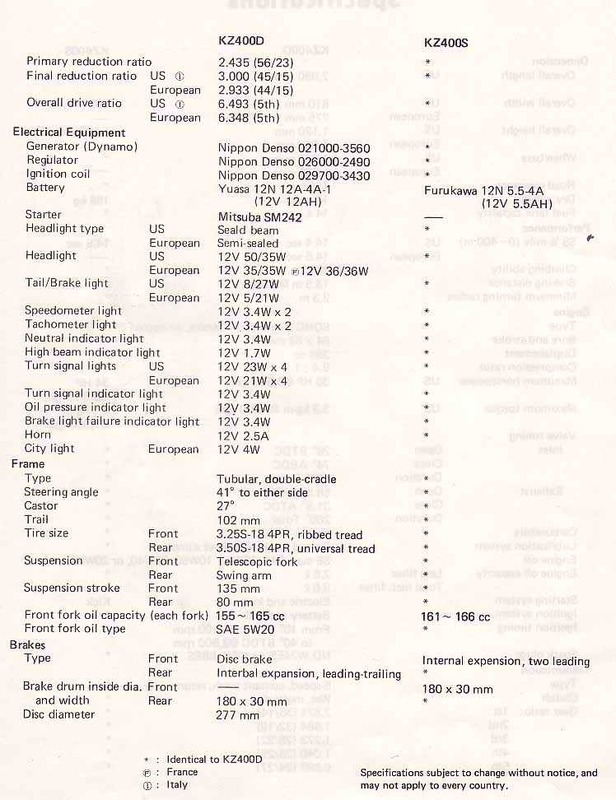 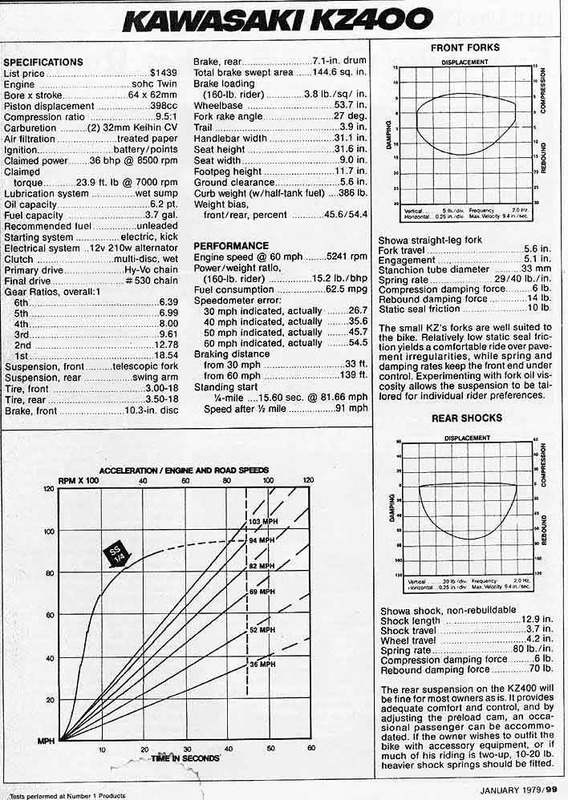 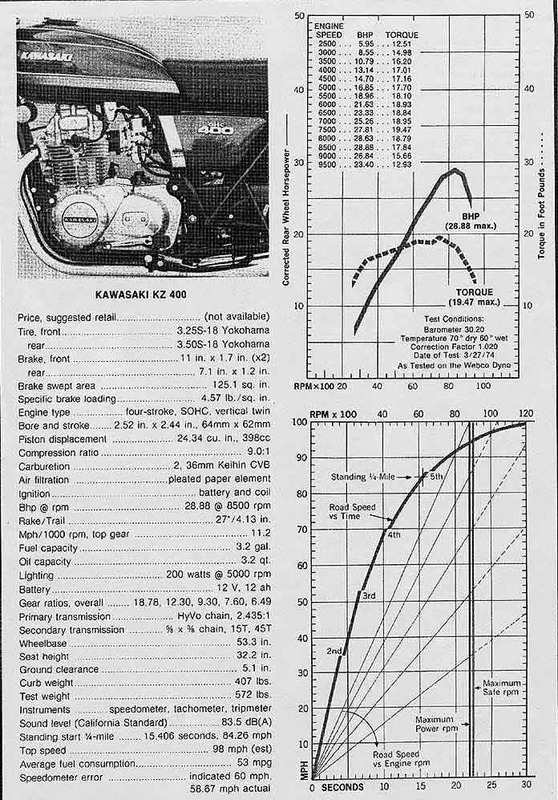 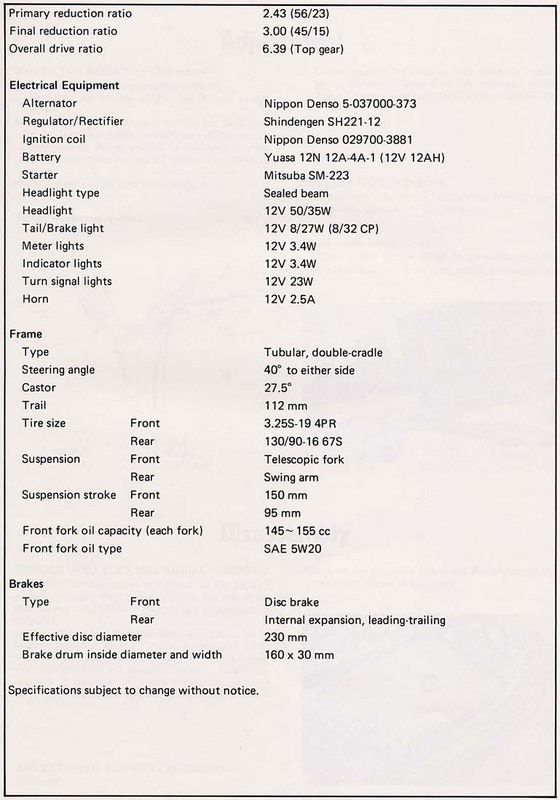 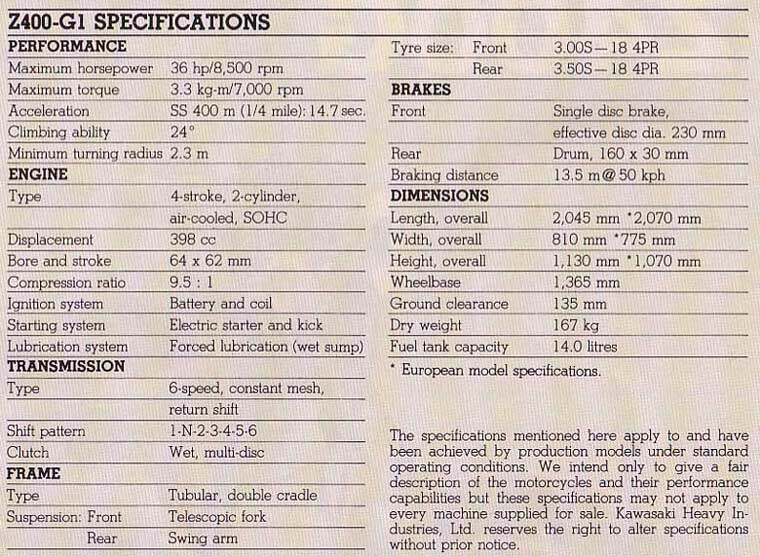 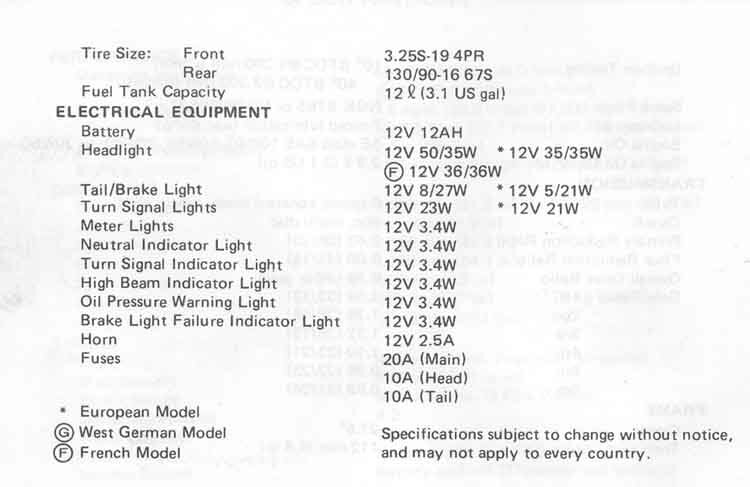 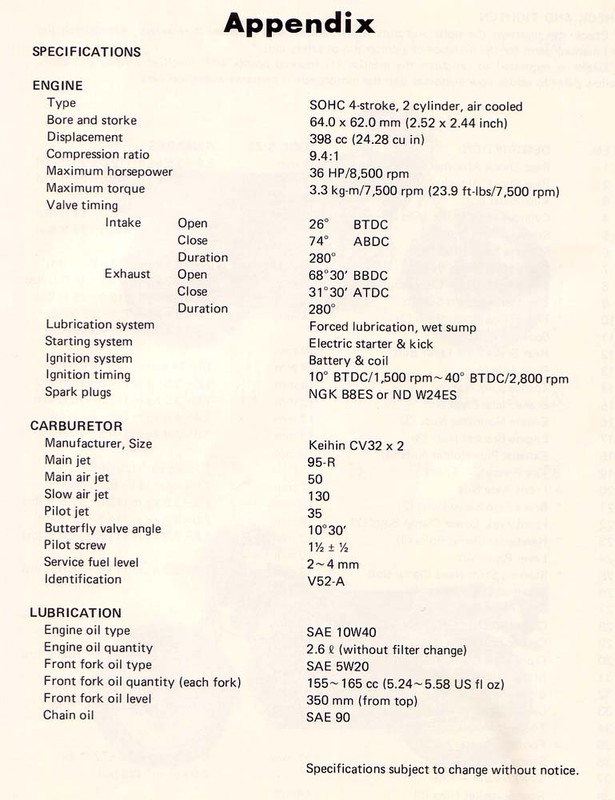 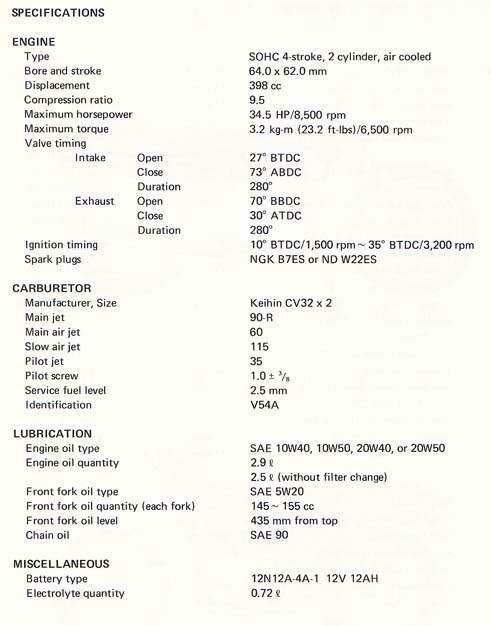 The carbs listed on this sheet, Keihin CV32 is not not correct. 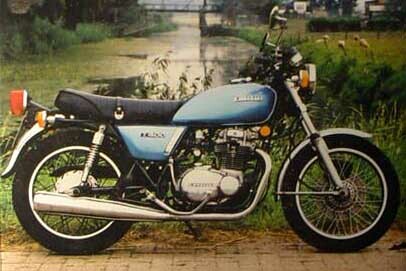 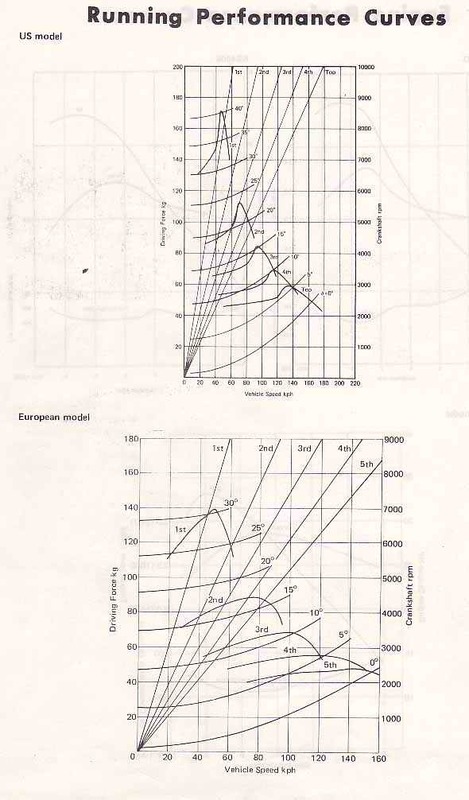 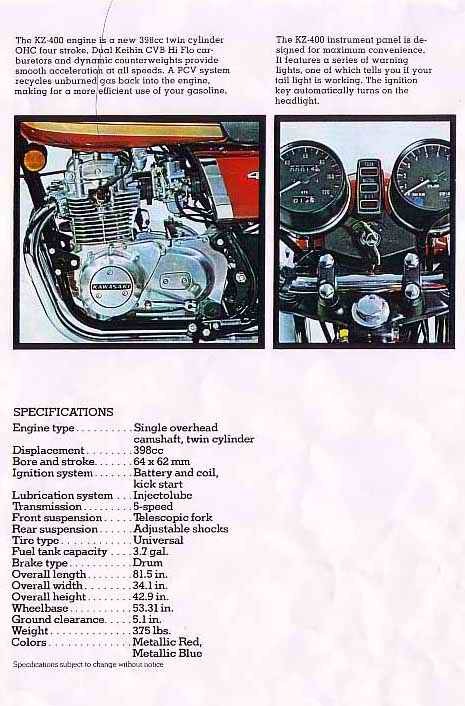 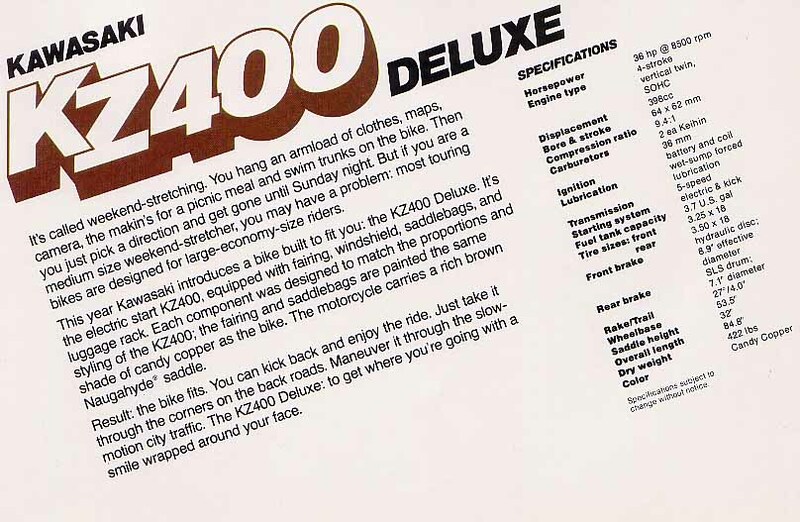 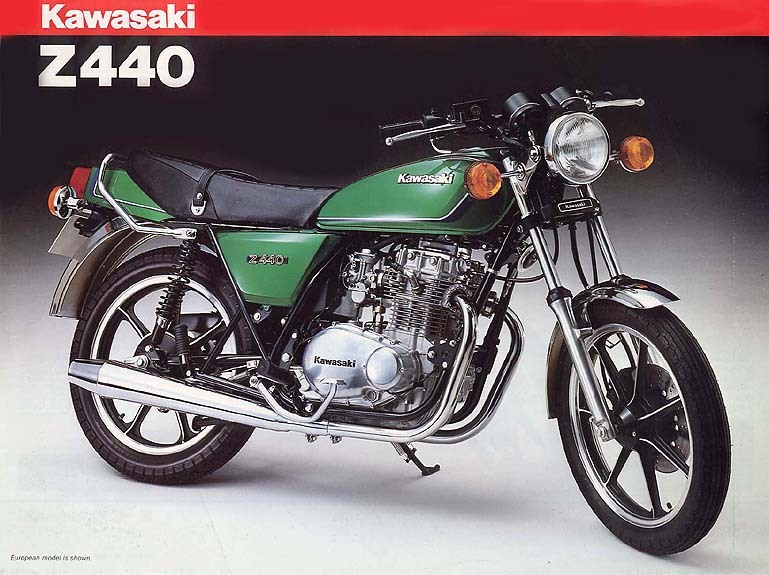 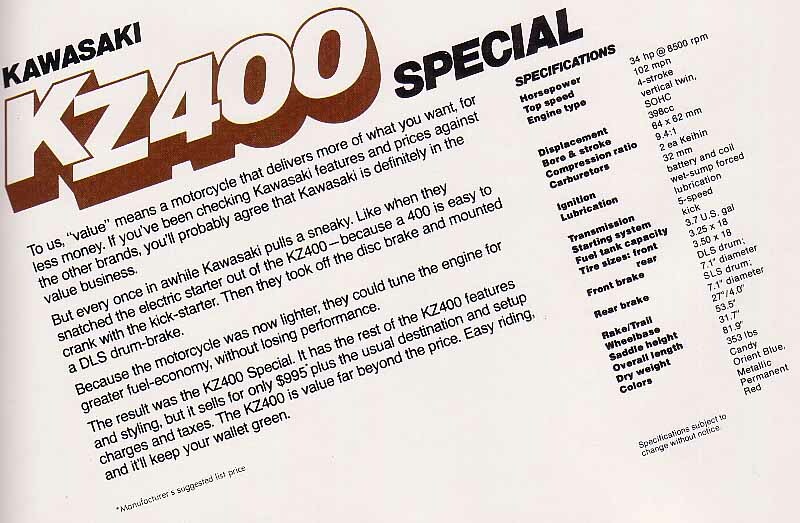 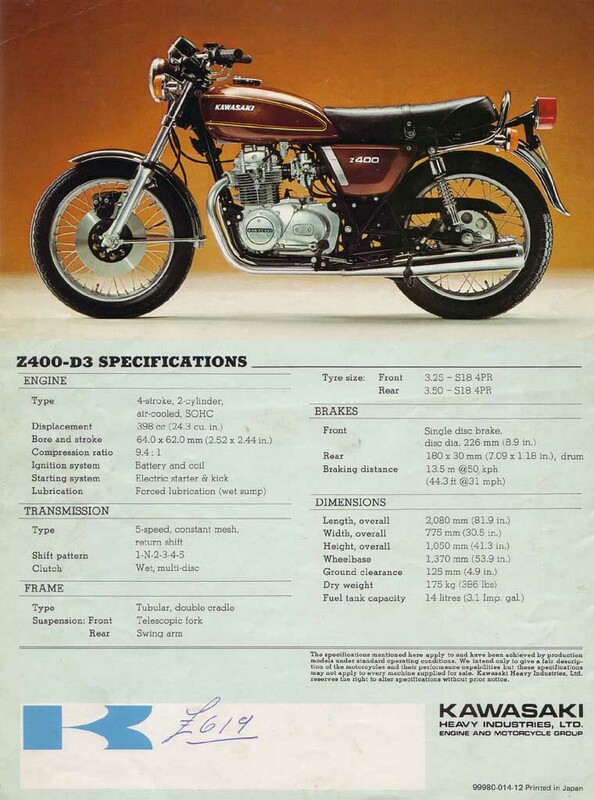 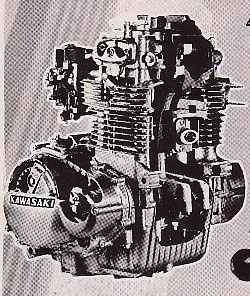 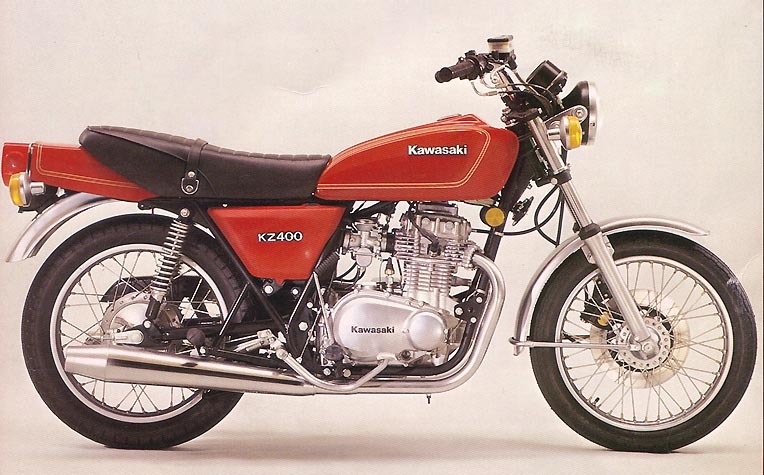 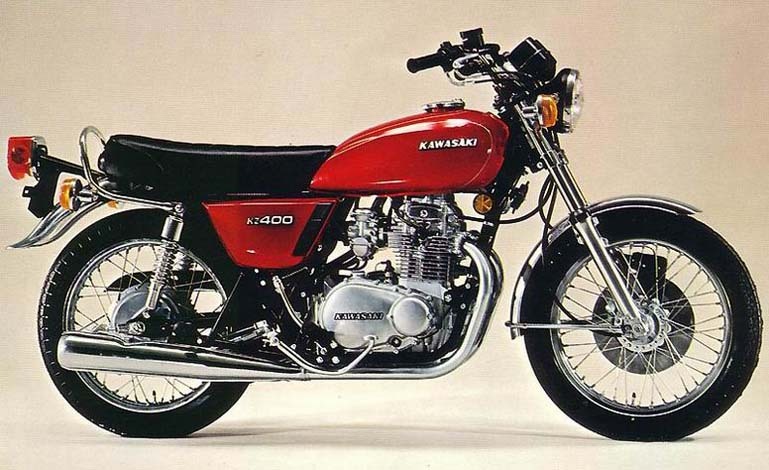 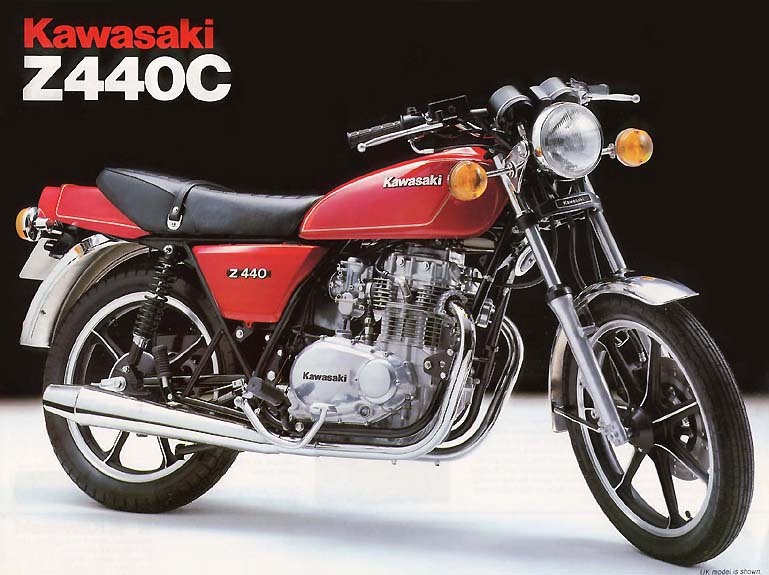 The correct carbs used for the 1974 - 1975 models are Keihin CVB36. 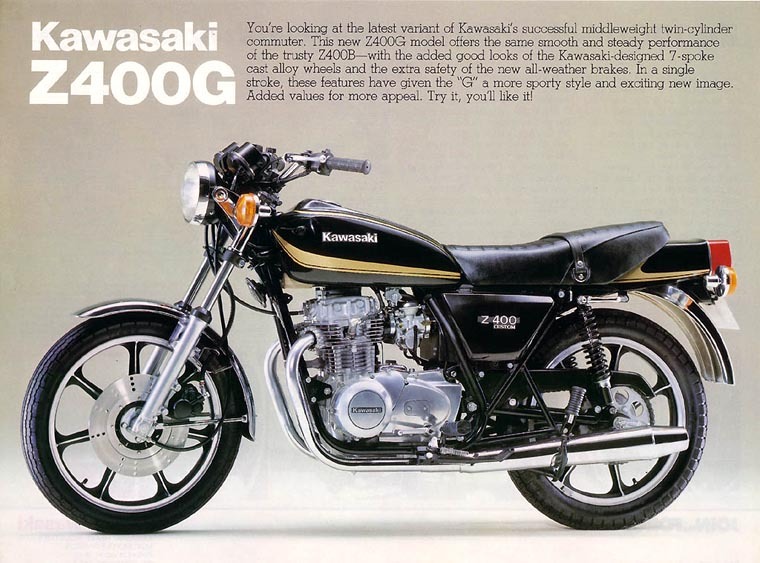 This is a misprint made by Kawasaki. 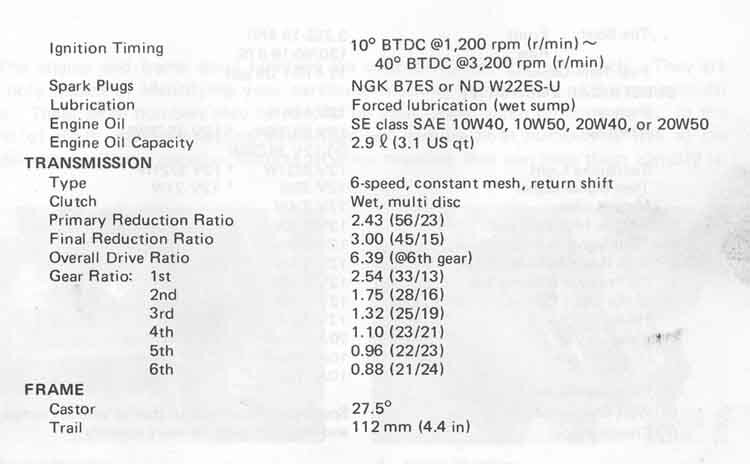 220 yards 9.90 " / 66.7 "
330 yards 13,40 " / 73,4 "
110 yards 6.2 " / 53.90 "
220 yards 9.9 " / 68.40 "
330 yards 13,1 " / 76,70 "
Mean normally seated 85.90 "
There is one interesting thing about these tests, and that goes for every test I have read, and for every bike that was tested in that period. 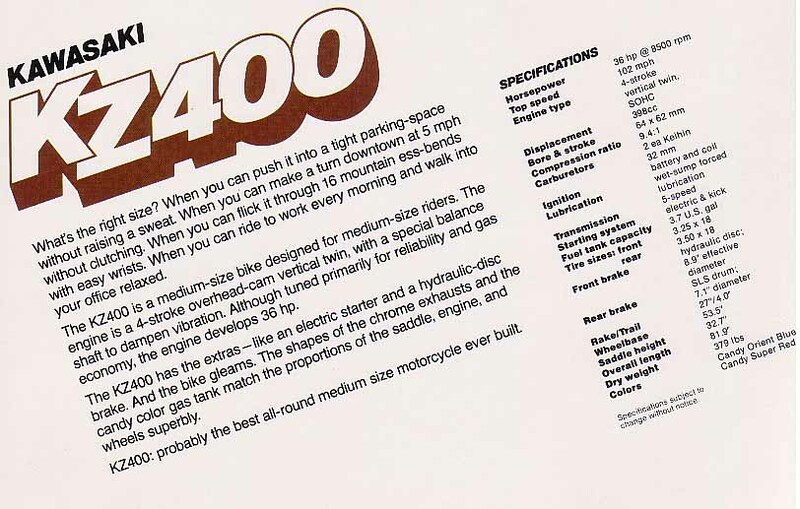 The top speed will increase with at least 10 mph or more when the riders is riding flat out. 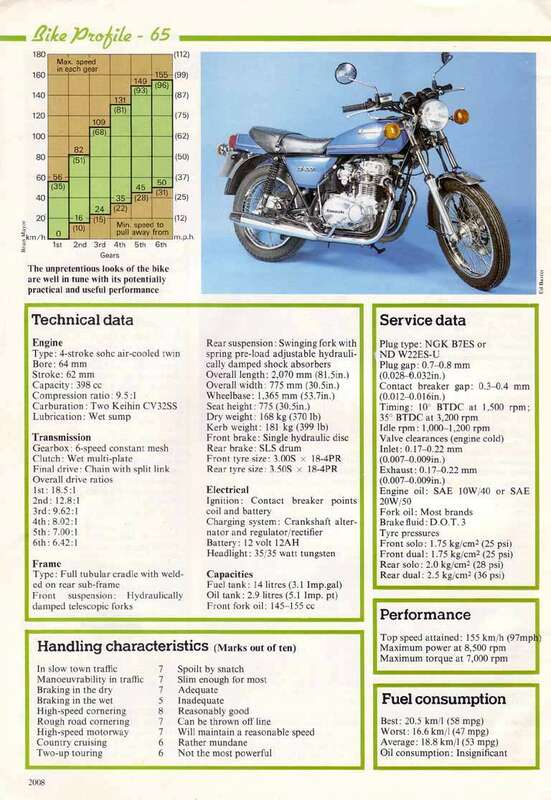 Some bikes will have a difference of almoast 15 mph!